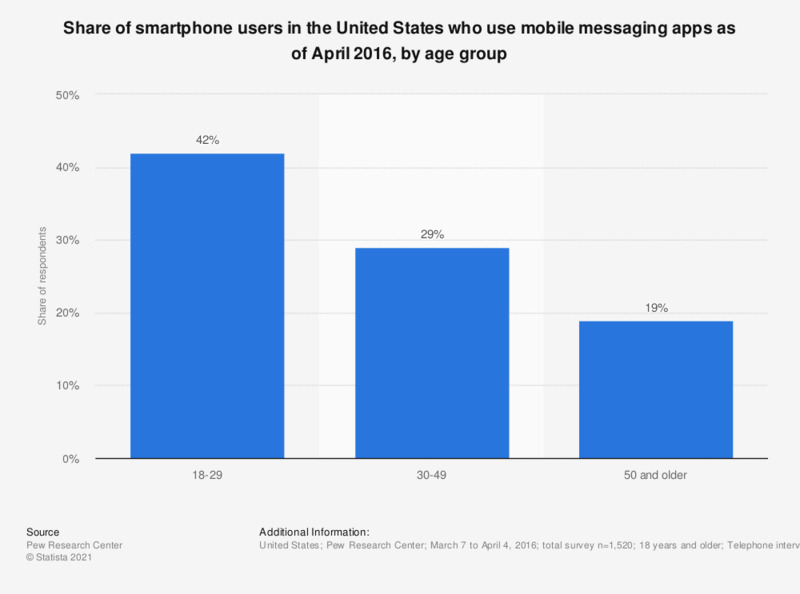 This statistic shows the percentage of smartphone users in the United States who use mobile messaging apps as of April 2016, sorted by age group. During the survey period, it was found that 42 percent of U.S. smartphone users aged 18 to 29 years accessed chat apps to communicate via mobile device. In total, 29 percent of smartphone owners used messaging apps. Findings based on the 72 percent of American adults who own a smartphone. Everything On "WhatsApp" in One Document: Edited and Divided into Handy Chapters. Including Detailed References.